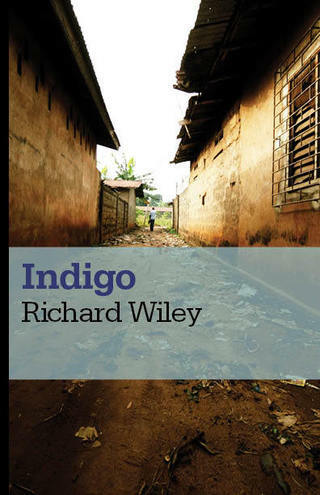 Richard Wiley's fourth novel is a richly layered exploration of cultural awareness, moral conflict and racial identity. Set in Nigeria during four eventful weeks in 1983, Indigo portrays a country stalled at a crossroads, with two factions competing to determine which will oust an inept civilian government. On one side is a cabal of military officers, on the other a group of idealistic nationalists led by a charismatic intellectual from a remote village. But for Dr. Jerry Neal, the white, middle-aged widower from the United States who is the principal of a private international school in Lagos, this offstage jockeying is something he does not learn about until a series of nightmarish events penetrates his previously orderly world. Neal is charged with a crime that has clearly been fabricated to create an international incident. Released on his own recognizance after several unspeakable days in confinement, he attempts to flee the country, only to be drawn farther into the unfolding drama. A brief sojourn in the countryside with some remarkably eloquent dissidents leads to a bittersweet epiphany. And, as another bow toward Franz Kafka, there is even a metamorphosis of sorts. Mr. Wiley, who won the 1987 PEN/Faulkner Award for his first novel, Soldiers in Hiding, has used this new one to combine provocative themes with solid storytelling. The result is a memorable work.